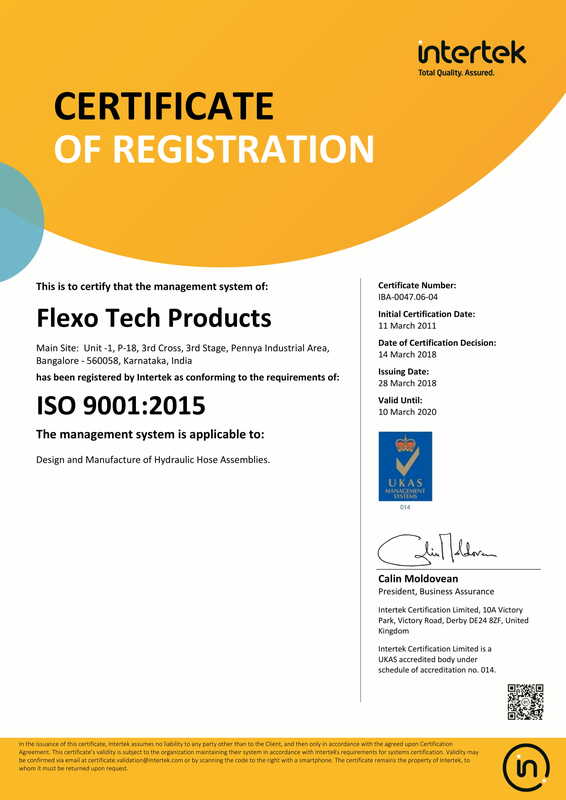 An ISO 9001:2008 company, Flexotech Products uses periodically calibrated thread gauges, measuring instruments. 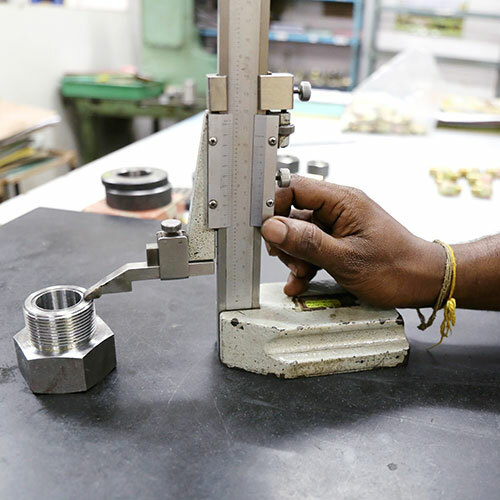 Process control technologies adopted in every process from designing stage to final packing and delivery stage. 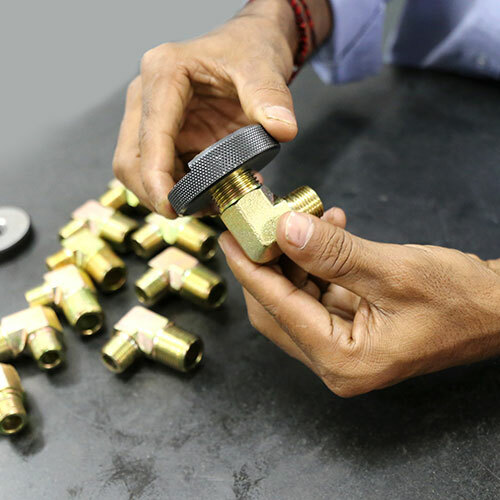 Major OEMS conduct periodical audit of our quality system and approved as OEM vendor to supply Hydraulic, Stainless Steel & PTFE hose assemblies & hydraulic fittings.